One thing that the author of this posting has noticed in researching other blogs, message and review boards, articles and other martial arts sites online is that there is a certain level of hesitation or lack of desire on the part of some (not all) HEMA schools, clubs, and organizations to engage in freestyle combat tournaments. And, when some of them do engage in such events, they are closed events within their own organizations. Naturally there are a number of HEMA schools that do indeed compete in open tournaments, but what is the mindset or philosophy behind others not doing so? There appears to be two main reasons that continue to recur the most as to why some HEMA groups will not engage in the tournament. Of these two most common reasons that I have found, the first I believe is related to HEMA attempting to “find its identity” so to speak and be taken seriously in a world where Asian martial arts have flooded the West for decades now, and because chivalric martial arts have been submerged in a pool choreographed entertainment with renaissance fairs and associated with things for children. HEMA is trying to break away from “dress-up” as I have seen it said on many boards. The fact is that many of the HEMA tournaments have been held in places where garb was mandatory or at least highly encouraged, thus once again taking away from the serious, very real nature of Historical European Martial Arts as an effective and deadly set of martial arts in the minds of some HEMA students and instructors. My school, New Ulster Steel Fighting School of Medieval Martial Arts (NUSF SMCA), wears a standard uniform of black pants or tights, and a charcoal colored t-shirt with organizational patch on right sleeve and rank chevrons on left sleeve. It looks nice, is not very costly, and is contemporary in nature. It is not “garb” so to speak. 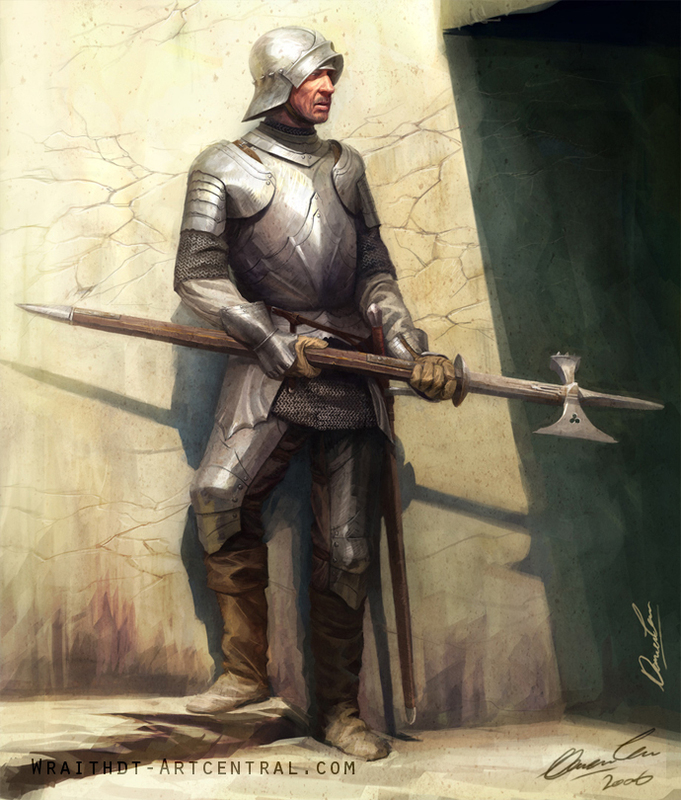 That said, members who achieve the rank of Armsman I and are certified for freestyle combat earn the privilege of wearing our official tabard or surcoat, which is our one uniform item that can be considered traditional European dress for the arts that is not armour. When we engage in free style sparring, we wear padded clothing and a fencing hood, or we wear armor in the form of chain and plate with a medieval- style helmet. Why do we wear this type of “period” gear? Three main reasons: Safety is the main reasons. Next, the physical fitness aspect of sparring in armor. I personally add on average an extra 60 pounds of weight to my person once I have my armor on. This adds to my protection as we train, but if I am able to train in such conditions and perform well in armor, then my physical fitness level and endurance increases, my speed increases and my general performance and fighting ability as a martial artist increases and becomes more efficient. I perform even better when out of armor because I train under strenuous conditions when sparring. Wearing armor in freestyle sparring has it’s benefits for sure and in our belief at New Ulster Steel Fighting it is an important part of our martial arts training. And, while we do not “dress up” for renaissance fairs and such, we do recognize the importance that “living history” activities as educational aids for young people and adults. It too can have its good purposes, and true, it is just fun for some. The next reason for wearing armor is from the historian’s perspective. This aids me in better understanding the conditions under which our forefathers fought when armored up, and it better aids me in understanding why certain forms and techniques of fighting/martial skills were developed and employed. I believe training in armor for the serious HEMA martial artists is key in fully understanding why we do what we do today in some styles of fighting. The other of the two most prevalent reasons I have seen is one that took me a bit by surprise when I read it. I have read several times that some believe that freestyle sparring and or engaging in the tournament will bring the onset of some “bad habits” in real fighting, and in training in the various styles with their forms and techniques. Naturally there are rules and regulations in tournament/sport fighting that do not exist in a real fight, or even in your club’s freestyle at training sessions. If a student and practitioner of Historical European Martial Arts engages in tournament combat with its rules and regulations, neglects his or her school’s training regime thus focusing only on what it takes to win a marshaled match in tournament, then yes it could theoretically cause the student do develop some limitations. But, if the student continues to train in accordance with his/her school’s training regiment as well as engaging in the tournament, the student will find some great experience and will develop greatly as a martial artist. Engaging in freestyle tournaments will expose the martial artist to people he or she has not fought against before and can expose them to some forms and techniques that perhaps they have not experienced previously. The tournament will also give the martial artist the chance to make new connections and engage in some very meaningful, insightful conversations with other martial artists that they are not normally around. The tournament has much to offer, and our chivalric forefathers new this to be true. French knight, Sir Geoffroi De Charny (c. 1306-1356)1, felt the tournament was a very important aspect of chivalric conduct and martial activitiy1. De Charny wrote in his Book of Chivalry that Deeds of Arms in tournaments, “Earned men praise and esteem for they require a great deal of wealth, equipment and expenditure, physical hardship, crushing and wounding, and sometimes danger of death… Indeed they (men-at-arms/knights) are worthy of praise; nevertheless, he who does more is worth more.”2 To Sir Geffroi De Charny and many other knights and squires, the tournament was one means by which to earn honor by exercising prowess, a key component of living within the Code of Chivalry. Clearly De Charny had no problem with the tournament and in fact was a great proponent of it.3 The tournament was a valuable activity for the Medieval knight, and today the tournament is still a very valuable activity for the modern practitioner of HEMA. It was greatly valued by the Medieval knight and it should be valued by us today as a vital part of our martial arts experience. When I look at HEMA as a practitioner and instructor I cannot help but hear De Charny’s words written several times throughout his Book of Chivalry when he said, “He who does more is of greater worth.”4 It is not enough to train and go through the forms, techniques, and motions of the original texts and our interpretations of them without freestyle sparring. It is not enough to engage in these things without the experience of fighting different people from different schools in the modern tournaments. Seek out tournaments throughout your state, you country, and throughout the globe. He or she who does more is in fact of greater worth . Do all of these things and neglect none of them. If you do this then your experience will greatly increase, and bad habits (which anyone can form at anytime no matter what) can still be less likely. While both of the main reasons why some HEMA schools/clubs do not engage in modern open tournament fighting may have some level of credence to them, it may be good for a little more open mind to be taken when looking at these reasons/stances and think about what taking part in more open tournaments can do for you and your school/club. 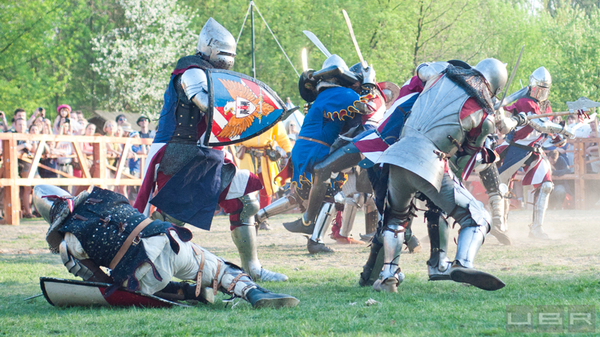 Medieval Tournament. Medievalist.net. 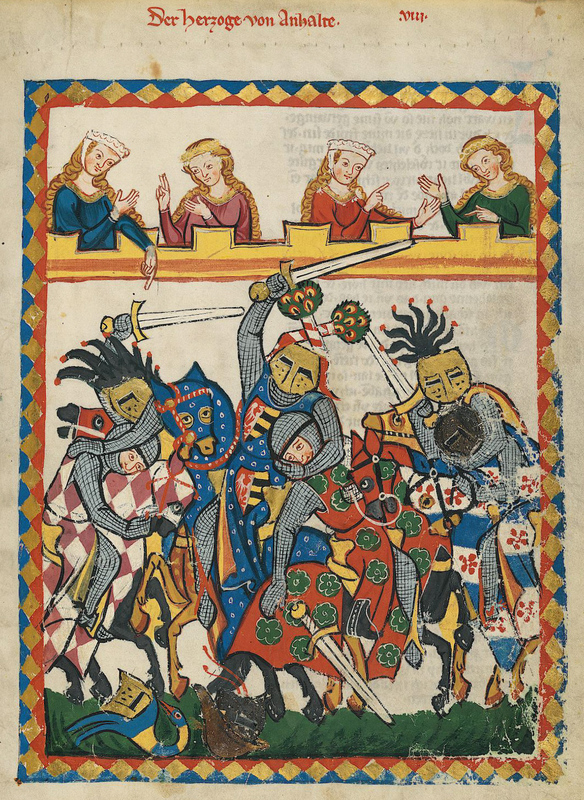 http://www.medievalists.net/2011/01/08/prizes-in-medieval-tournaments/ Accessed March 30, 2013. 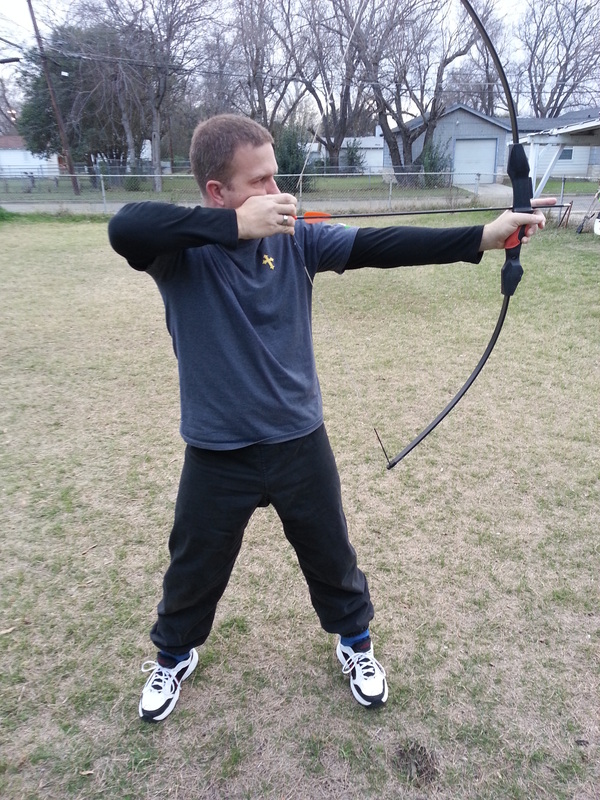 Archer. New Ulster Steel Fighting. Steelfighting.com. and New Ulster Steel Fighting School of Medieval Combat Arts. Waco, TX 2013. Battle of the Nations. Combatmedieval.com. http://www.combatmedieval.com/battle-of-the-nations-12-pays-jouent-a-la-guerre-medievale/ Accessed March 30, 2013.